The perfect drive is down the middle. There really isn’t any other option; don’t be tempted to cut the corner – the road is out of bounds. 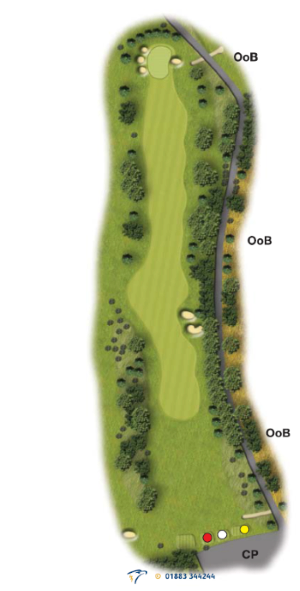 The green is the narrowest on the course so bewars of your aiming as you approach the green. A good long testing hole.